Conquer the amazing world of Egypt. A visit to Egypt won't be complete without visiting its historic sites. So we have identified here some of the top sites for you to include in your Egypt trip itinerary. The pyramids are one reason that made Egypt a permanent site to visit for travellers. Most of these pyramids are built as tombs for the country’s pharaohs. The most interesting part of Cairo is the Medieval Cairo as it is full of streets coming alive with bustling activities anytime of the day. In Egypt dwells a big Coptic Christian populace, so churches also are considered fixtures of the Egyptian landscape - this includes the Monastery of St. Anthony. A World Heritage Site, the Valley of the Kings is made famous for the discovery of the tomb of Tutankhamun. 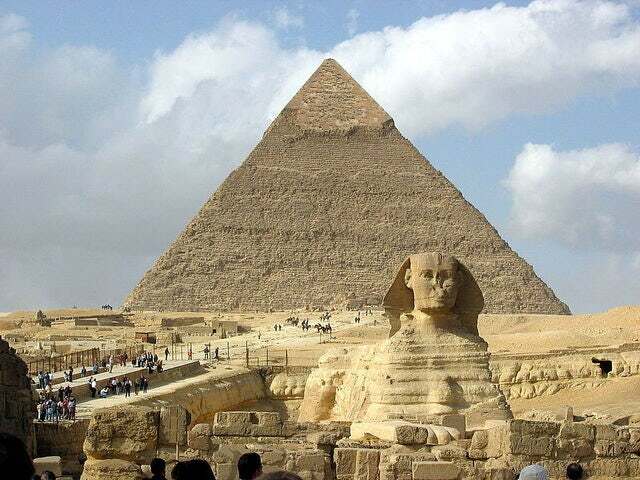 In Egypt, you’ll surely discover these great landmarks when exploring the country!